District 21 – September 2012 – Lincoln Nebraska A.A.
Ending Available Balance: $422.13 (+$150 Reserve- Actual Ending Balance $572.13). I would like to thank Linda S. (Alt DCM) for chairing this month’s meeting for us while I prepare for my upcoming gallbladder surgery. Last week was our Area 41 Business meeting in Columbus. Bill O. (Alt Delegate) let us know that we need to reserve our hotel rooms at least 2 weeks in advance at New World Inn to be able to get the group rate of $59.00 per night ($64.90 with tax). 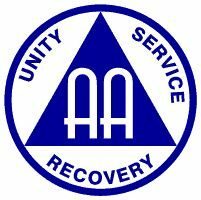 So if your GSR or any other AA Members are planning on going in November, please make your reservations soon if you have not done so already and don’t forget to let them know you are with Area 41. Bob (4 Corners Workshop Chair) advised they still have slots open for the 3rd and 4th quarter of 2013 for the NE and SE Region of Nebraska. He would be able to schedule these workshops once we know the dates for the Area 41 Business Meetings in North Platte as the meetings currently scheduled for Sept & Nov 2013 may be changing to Aug and Oct 2013. The Lancaster County Districts are part of the SE region. Trent G. passed out an Area 41 Treasurer’s report as of 6/30/12 and Kit J. passed out the Quarterly Contribution Report for the groups in our District and their contributions made to GSO year to date. I have these if you would like to review. Please review the Area 41 Service Handbook on the area41.org website. This handbook is to serve as a “Guide” for how the Area 41 Assembly conducts business based on past experiences and it will be further discussed at the November Area 41 Assembly. Area 41 will be conducting an Area 41 inventory in November. 1 Pocket of Enthusiasm (Jenni H.): Doing well, have had lots of discussion recently, format has changed slightly to issue a reminder for next weeks chair, changed some of the readings. 3. Women’s Circle of Friends (Vickie P): They discussed the picnic, the group thinks it turned out well, they’d like to do it again. They discussed doing something else as an activity. They did discuss ways of making the new comer more comfortable in our groups. Going well, no problems. 4. Young People’s (Miranda R.): Nothing new to report. 5. Cafeteria Group (Tom B. ): Attendance is good, around 70ish. They got a committee to put together a 41 year anniversary for the group. They have a day, November 4th, flyers are made and out and on the website. Social starts at 7:00PM, Speaker at 8:00PM Otto S. Things are going well. 6. Spiritual Actions (Brian C.): We’re good. 7. Seeking Solutions (Nancy S.): Still going well, we do not have a secretary, Don will be their intergroup rep. Attendance is good, over 70 people on a game day. 8. Steps we Take( Michael F): Things are great, nothing new, still comfy seats and AC. 9. 11th Step Group (Jackie): Not present. 1) **This item is being moved to vote for at the November Area 41 Assembly for copyright research and GSO review. 2). Would our Groups like us to have a workshop this year? Any Feedback/Suggestions? Becky N: They felt that due to time, it might not be able to be done this year, but maybe early next year, they felt traditions would be helpful, our strengths and weakness. Lots of participation in our district, however possibly weak on following the traditions was one thing they thought of detailing into this meeting. John R.: They liked the anonymity in the digital age, they like this topic as it’s timely and could attract someone who might not otherwise attend a workshop. They also agree that the end of the year is a bit soon to set one up. 3). Do we want to look at other locations for Dist 21 Bus Meetings with handicapped access? Becky N: They would really like to make the meeting handicapped accessible. Tom R: If a new location would be more expensive we would need to bring this to the groups. Tom B: Is still trying to get an answer out of Bryan LGH. (1) Dist 21 Budget Presentation/Discussion – Jon R: Based on the number we could probably afford to do the picnic, a GSR workshop and another workshop for 2013. Discussed the monthly trends in contributions. Our expenses are going up for the North Platte Area trips. (2) AREA 41 VOTING ITMES FOR NOVEMBER: The following Agenda Items are being moved to a vote for the November 2012 Area 41 Assembly. We will need to vote on at Dist 21 business meeting in October. *** Jennifer will get the budget and any other details emailed to everyone as soon as Newsletter is released. Discussion: Basically the changes reflect the move to North Platte. AGENDA ITEM 2012-3-10 004 Finane Area 41 to allow reimbursement for two nights hotel stay for Area 41 officers, committee chairs, and service positions who live more then 300 miles from the Area 41 meeting site. Item discussed and re-worded in committee as follows: Area 41 would reimburse two nights hotel stay for Area 41 officers and committee chairs who live more than 300 miles from the meeting site. AGENDA ITEM 2012-03-10 007 Finance – Area 41 maintain officer and committee checking accounts at one bank. Background : If all committees and officers had checking accounts at the same bank, trusted servants could use debit cards to access funds no matter where the bank was. It would be easier to transfer names at the end of a rotation, and the Area Treasurer could make transfers to account without writing a check. AGENDA ITEM 2012-03-10 008 Finance – Area 41 reimburse mileage to officers and committee chairs at 40% of the federal rate. Background : This is not an attempt to raise the mileage rate that was just set last year. It is an attempt to set it so that Area, in theory, doesn’t have to re-visit the issue again. The previous finance committee recommended the 40% rate, but it was only submitted as background, and was not presented as an item on the agenda. Any other New Business ?